In this one day workshop, attendees will learn the regulatory basis, current practice, and the application of tools and techniques for conducting natural resource damage assessments (NRDA). Attendees will also learn what characteristics could make a particular site vulnerable to an NRD claim, how a damage assessment is conducted, approaches for bracketing potential liability, and approaches to resolving an NRD claim. NRDA provisions are contained in federal law (CERCLA, FWPCA, and OPA) and many state statutes. 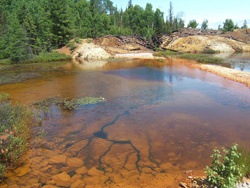 If a particular site (either aquatic or upland) has received hazardous substance or oil contamination, even if the contamination has been remediated, the responsible party may still be liable through a NRD claim for “interim lost resources and their services”. This material will assist the attendees in understanding and navigating the sometimes arcane and complex technical aspects of an NRDA. Attendees will learn the basics of NRDA law and regulations, the concept of making the public whole for losses, potentially responsible party (PRP) defenses to NRDA claims, trustee burden of proof, causation, and other issues. The major phases of NRDA from discovery, injury assessment, lost services calculation, restoration planning and benefits calculation and the settlement process will be covered. Participants will learn about the spectrum of approaches to NRDA ranging from fully collaborative efforts between the trustees and PRP, arms length negotiations to full-blown courtroom litigation. Additionally, participants will learn how to coordinate remedial and NRDA activities at sites to take advantage of synergies in field sampling, site characterization, mapping, etc. Attendees at the workshop will learn about ecological environmental benefits analysis (ecosystems services accounting), including the development of a natural resource “Debit” and “Credit evaluation. The “debit’ module will focus specifically on the applied science and techniques used in for accounting for losses of the multiple types of natural resource services that could be affected by oil or chemical releases. Specific tools and approaches for several resource categories will be introduced with examples from completed NRDA cases or hypotheticals that employed ‘injury metrics’ such as biological survey information, sediment chemical quality guidelines, tissue chemical concentrations, etc. An overview of spatial analysis methods (using GIS), resource ‘exchange values‘and loss of services calculation (using Habitat Equivalency Analysis, HEA), etc. will be discussed. The “credit module will cover how restoration “credit” can be calculated to off-set natural resource ‘debit’. Application of habitat quality information, determination of initial ‘baseline’ condition, estimation of ‘service lift’ and resource ‘exchange values‘ for restoration actions will be discussed. Tools and methods for ‘net service’ accounting using GIS and HEA will be demonstrated using settled case and hypothetical examples. This course is intended for environmental professionals, consultants, researchers, students, industrial site owners and operators, and government agencies such as USDA, DOD and DOE. It is designed for professionals related to oil or chemical contaminated sites. Environmental professionals seeking a greater understanding of natural resource damage assessment claims and their resolution also will greatly benefit from this workshop.